After sharing my 8-part blog series about preschool, I thought I would compile a checklist you can use to prepare your child for Kindergarten. This list of standards was put together by looking at public school, private school, and homeschool standards. 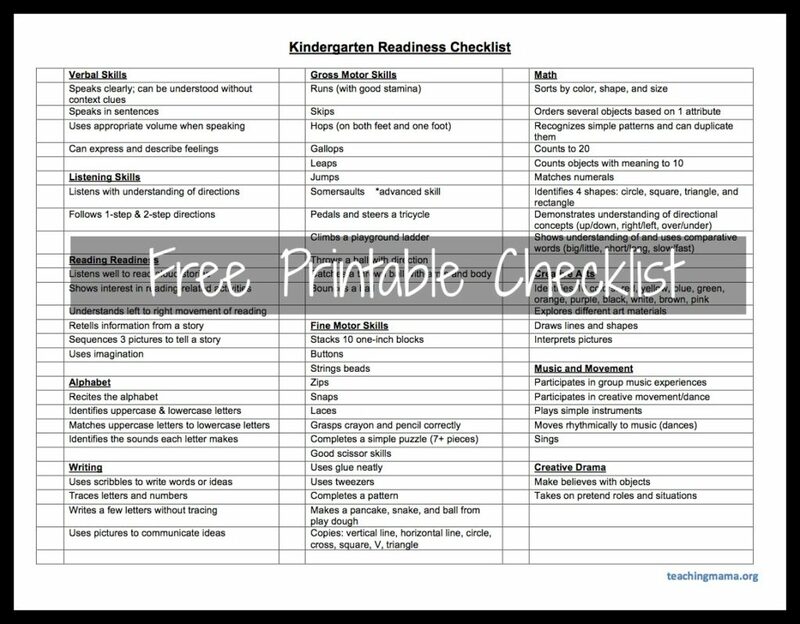 I am a former fourth grade teacher and through teaching experiences with early childhood education during college, I believe this list is a good way to assess how ready your child is for kindergarten. Print this list and check off the skills as they master them. I know this list seems huge, but just working what you can will really benefit your child. I am excited to keep using this list to build more activities to share on my blog and help you find ways to practice these skills. I hope this list will be a helpful guide, whether you homeschool or send your child to school. Either way, it is still good to know what your child should know before Kindergarten. Also, here are the links to my posts about each subject. Great! That’s what I love to hear. Hope this is helpful for you! Thank you for putting this together. 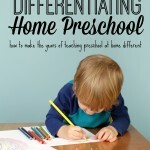 I jumped right in head first homeschooling Seth Kindergarten so no experience with the Pre-K years. Kaila is eager to learn so excited to make that more of a priority than this year was for her. Oh good! I know that PreK isn’t something you have to do, but I do believe that it’s helpful to work on before starting Kindergarten. That is wonderful that Kaila is eager to learn!! Hope this will help you out. Take care! This is a great checklist. 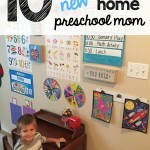 I definitely don’t think a preschooler needs to do every one of these things before Kindergarten, but being able to do most of them will be a big help. Thanks for the list! I agree, Kirstylee! This is just a guideline and I don’t think many preschoolers can master every single one of them before Kindergarten. Just a checklist to see what to work on. Thanks for your comment! Visiting from the Sunday Showcase. 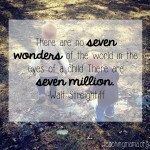 I’d love for you to share your family-friendly crafts and ideas at Monday Kid Corner at thejennyevolution.com. See you at the party! Great list….is this aligned with the Commmon Core Starndards for PreK? Thanks!! Thanks! No, I did not align this list with the Common Core Standards. This list was compiled from my teaching experience and extensive research. 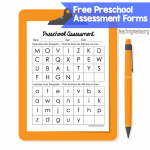 Awesome checklist, We linked it on our article regarding all things Pre-K. Thanks a lot! Hello, I was wondering if this list is what they learn throughout kindergarten or if they should know most of it before entering so that they can learn new things or build upon this foundation? I guess i’m wondering, for children that already know these things (like an older child who’d be 6 coming in to kinder and missed the birthday cut off for the previous year), would the parents speak to someone in the school about skipping a grade or do you think there’s more to learn in kinder? 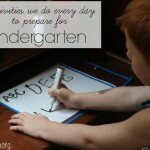 This is what preschoolers should learn to be prepared for Kindergarten. You’d have to talk to the school district about skipping a grade. I believe each school has a different policy for this. Best of luck to you! This is a great list. I work as a behavior analyst and many of my clients are children with develomental disabilities between the ages of 4 to 7 and parents are always asking what types of things their kids should be doing or know by a certain age so I can definitely share this with them. On a personal level, as I was reading through the list, I noticed that my 2 y.o. daughter is already doing many of those things – she’s been attending a center based daycare since she was an infant and the teachers there have been amazing about incorporating a curriculum into everything they do throughout the day. I guess I’m wondering how I can challenge her further, since she still has a few years left before kindergarten, and will she end up being bored when she gets there?? I’ve worked with kids for many years, but as a mom I’m a rookie. What are your thoughts? I’m always looking for more ways to reach the parents of preschoolers I interact with as a librarian! It’s so helpful to provide different resources and links for different parents. Thank you! Thanks for this checklist 🙂 Very helpful for our K4 assessment!